TRANQUILITY... 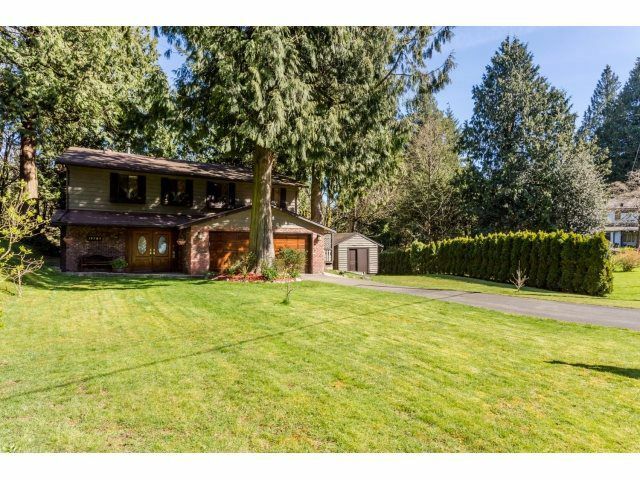 This home is situated on a very desirable area of Brookswood. Enjoy camping and peacefulness? Backing onto Anderson Creek with eagles watching right off your back decks, this rear yard has balconies and decks, hot tub and absolute quiet. This basement entry home sits on a 19,500 sq. foot lot with double garage, storage shed and some green space for kids to play. A beautiful hand carved mantle surrounds a brick fireplace in the living area adding to the feel of being far way from everyday. Some updates on the inside could make this home amazing.